Chapter 3 - The development of electron probe instruments at the Cavendish Labratory and the Tube investments research Labratory. Although the scanning electron microscope had a prehistory in Germany and the USA, its real champion was Charles Oatley, who launched his project in the Cambridge University Engineering Department shortly after the end of World War II. A first microscope was built successfully by D. McMullan, one of the Guest Editors of this volume and a succession of progressively improved instruments followed. One in particular, built by K.C.A. Smith was commissioned specially for the Canadian Pulp and Paper Research Institute for use in their Montreal laboratories. All these efforts culminated in the commercial model built by the Cambridge Instrument Company and marketed in 1965 under the trade name, Stereoscan. Although this story has been told on several occasions, in particular in these Advances, it seemed appropriate, in the centenary year of the birth of Sir Charles Oatley, that more details should be published to celebrate these achievements. This volume is the result. 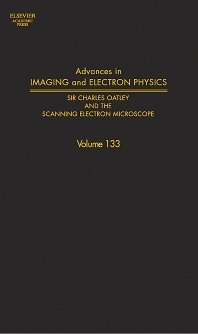 It contains not only historical articles and reminiscences by most of the scientists who have worked on the scanning electron microscope in Oatley's laboratory but also full or partial reproductions of many of the key publications, beginning with McMullan's early paper of 1953 and including Oatley's own "Early history of the scanning electron microscope" (1982). A website has been created, in which supplementary material is collected. This volume is a tribute to a bold pioneering scientist and a vivid record of the creation of the first commercial scanning electron microscopes and of subsequent developments.